Alpine Communications and nonprofit Cell Phones For Soldiers are asking Northeast Iowa residents to help troops call home by donating gently-used cellular phones. Although the military landscape is ever changing, as many as 200,000 troops are serving in the United States military overseas around the world. 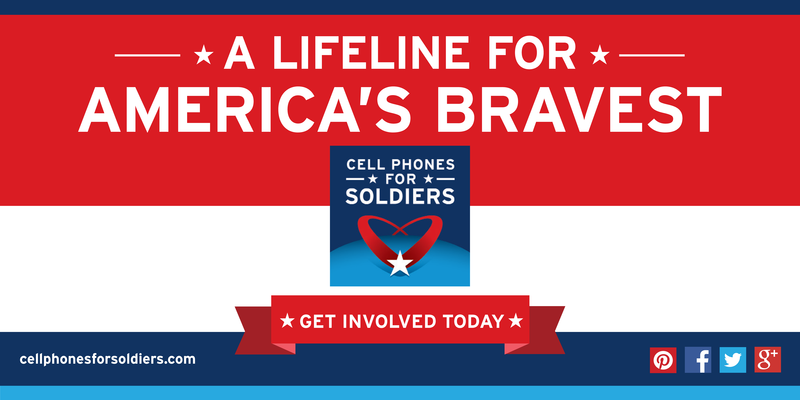 By donating to Cell Phones For Soldiers, residents can provide a lifeline for America’s bravest. Beginning today, residents can donate their phones and/or tablets at Alpine Communications located at 923 Humphrey Street, Elkader, Iowa. Cell Phones For Soldiers was founded in 2004 by teenagers Robbie and Brittany Bergquist at the ages of 12 and 13. The charity has since provided more than 216 million minutes of free talk time to servicemen and women stationed around the world through its calling card program, Minutes That Matter. Funds raised from the recycling of cellular phones are used to purchase prepaid international calling cards. On average, Cell Phones For Soldiers distributes 1,500 calling cards each week to bases around the world, care package programs, deployment ceremonies and VA hospitals. For every donated phone valued at $5, Cell Phones For Soldiers is able to provide two and a half hours of free talk time to the United States Military. For more information, please visit Alpine’s Cell Phones for Soldiers page or www.cellphonesforsoldiers.com.